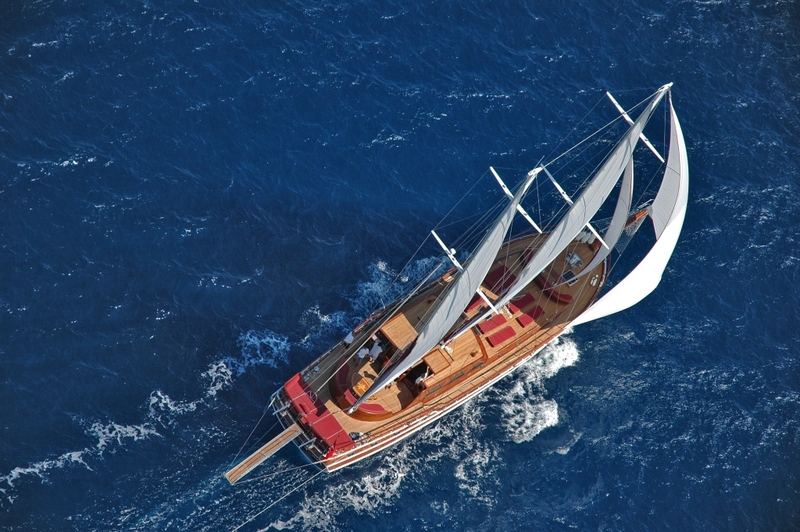 Luxury sailing Gulet WHY NOT 1 was built by Bodrum shipyard in 2006 and refitted in 2012. 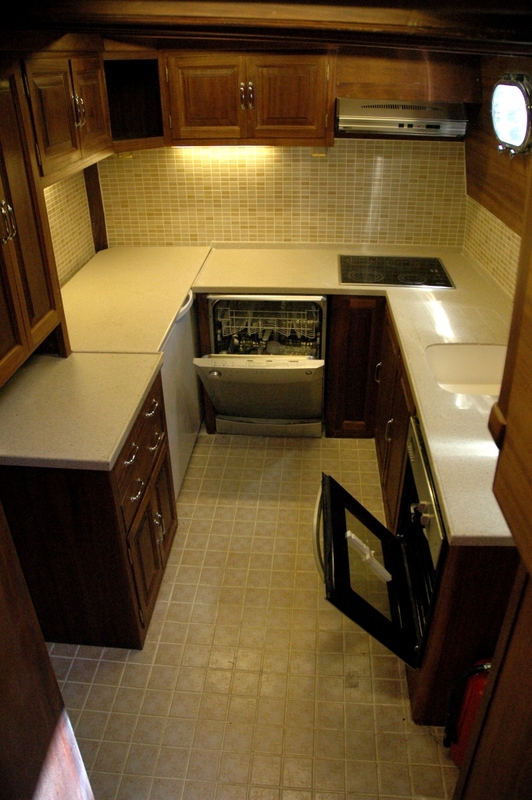 Measuring 24m (78.9ft), sailing yacht WHY NOT 1 offers accommodation for up to 8 charter guests, in 4 en-suite cabins. 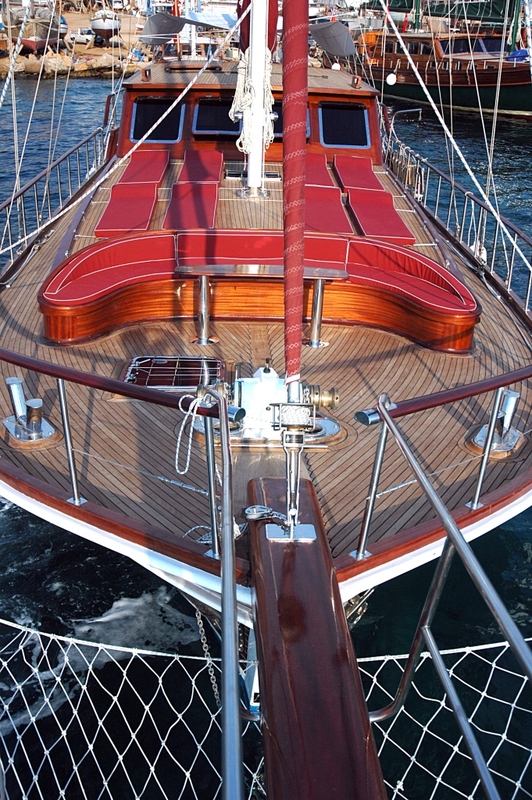 Crewed charter yacht WHY NOT 1, is available for deluxe sailing charter holidays in the idyllic Balearics. 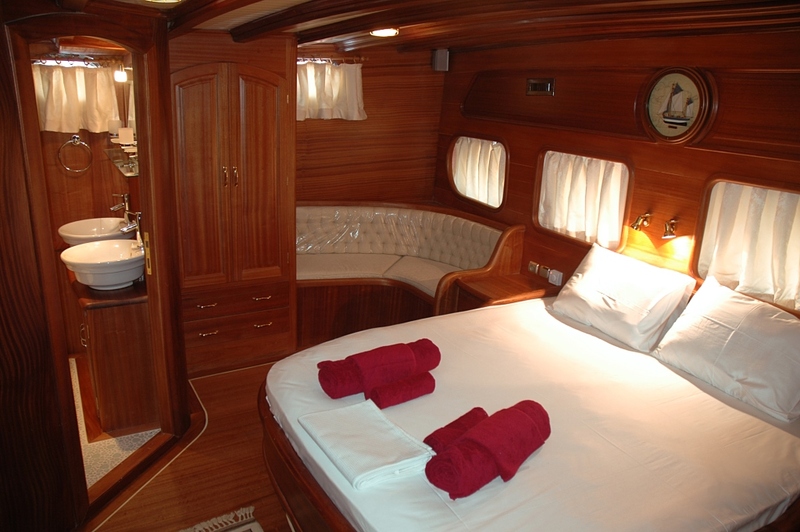 Sailing yacht WHY NOT 1 has a warm elegant interior, featuring high quality wood finishes and an open airy ambiance. The salon and dining are in a raised position, with wrap around windows for plenty of natural light. 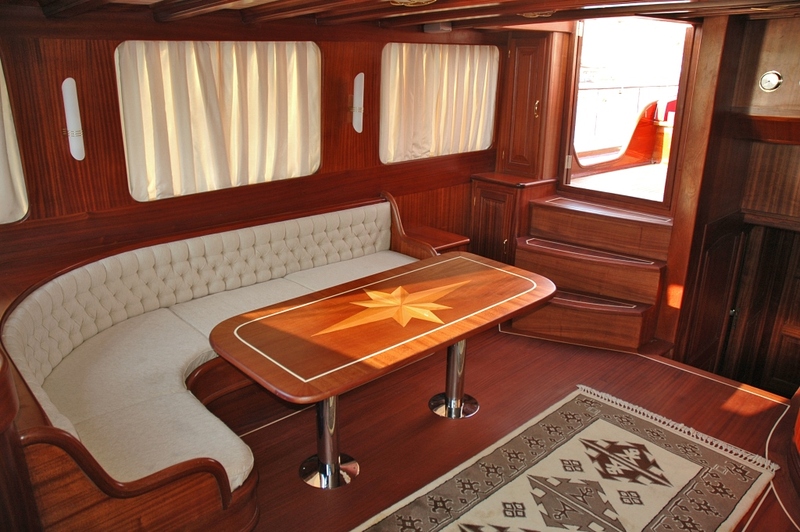 On the starboard side a large L shaped sofa, table and chairs seat her guests in comfort and style. 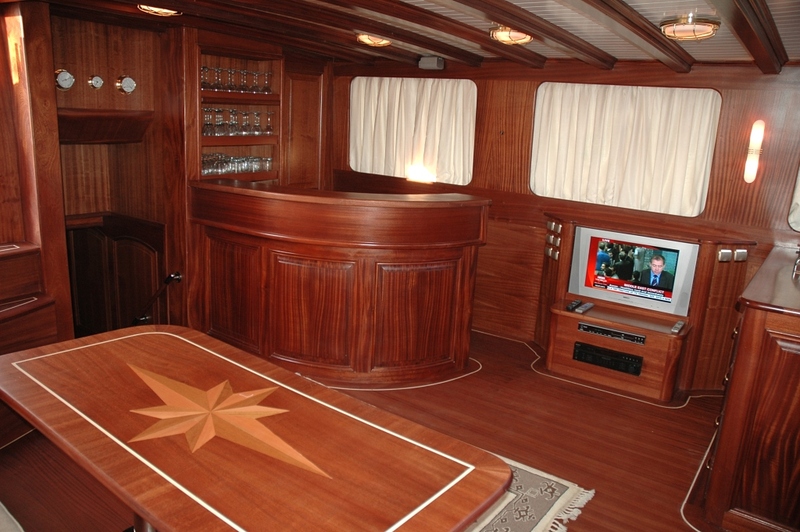 To port, a full entertainment system includes a flat screen TV. 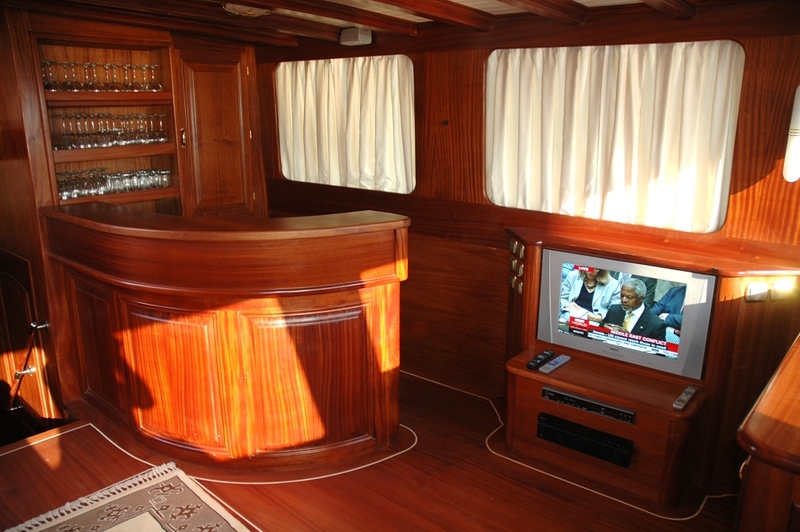 Aft of the TV is a complete wet bar, perfect for evening aperitifs. 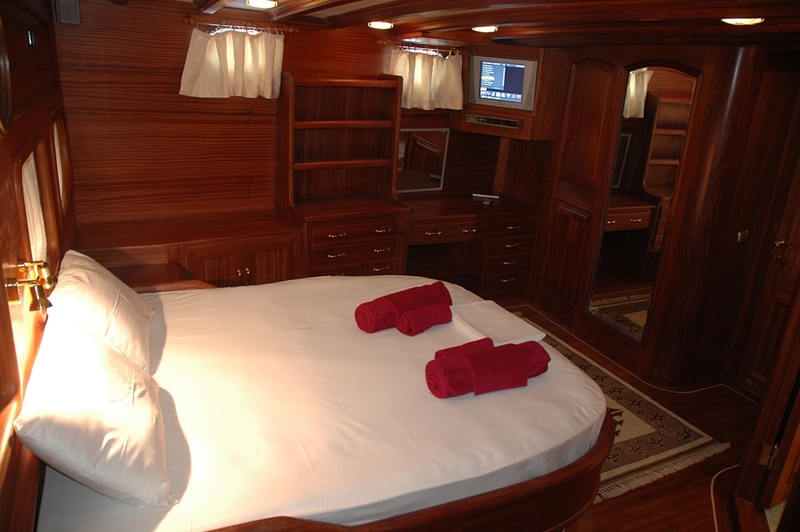 Guest accommodation is below decks, in 2 king, 1 double and 1 twin cabin. Exterior living is ample and well appointed. 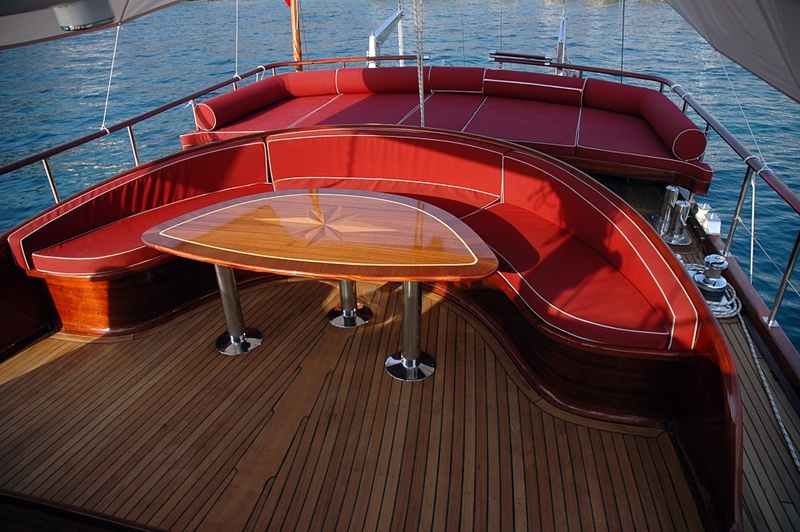 On the aft deck, guests may dine alfresco under optional shade, or enjoy the full beam aft sunpad. 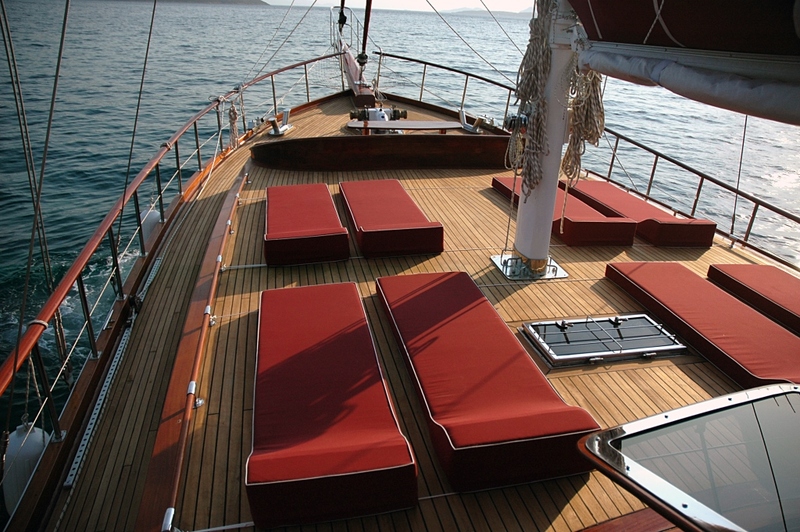 With a beam of 6.3m (20.8ft), S/Y WHY NOT 1 boasts wide teak decks, leading to the generous foredeck. 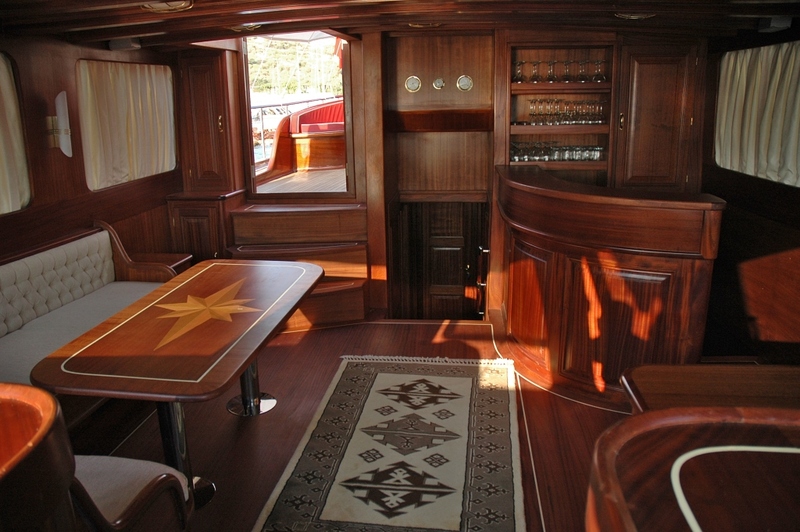 On the foredeck, there is a further alfresco dining table with built in seating, plus a full complement of sunpads on the cabin house, for all 8 guests. Powered by an Iveco 210hp engine, charter yacht WHY NOT 1 is capable of 10 knots. 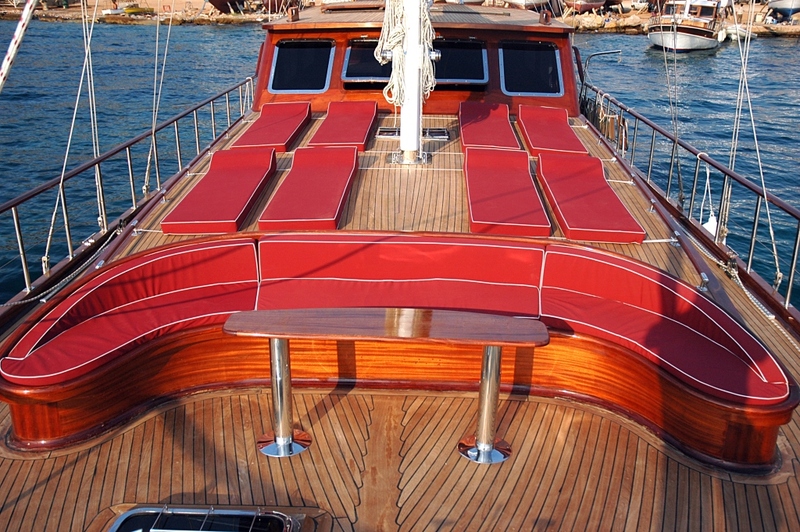 For ease of maneuverability, the yacht has been fitted with a bow thruster. 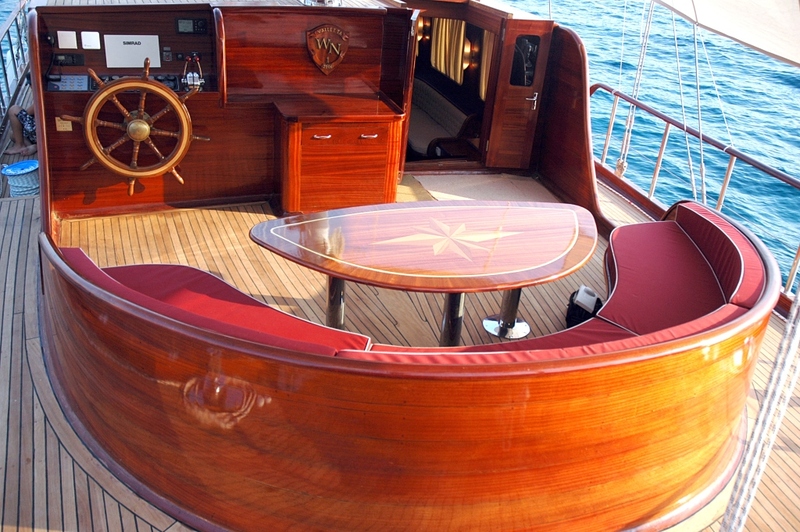 The Spanish yacht WHY NOT 1 is a ketch rigged vessel, she flies 300m2 sail area. 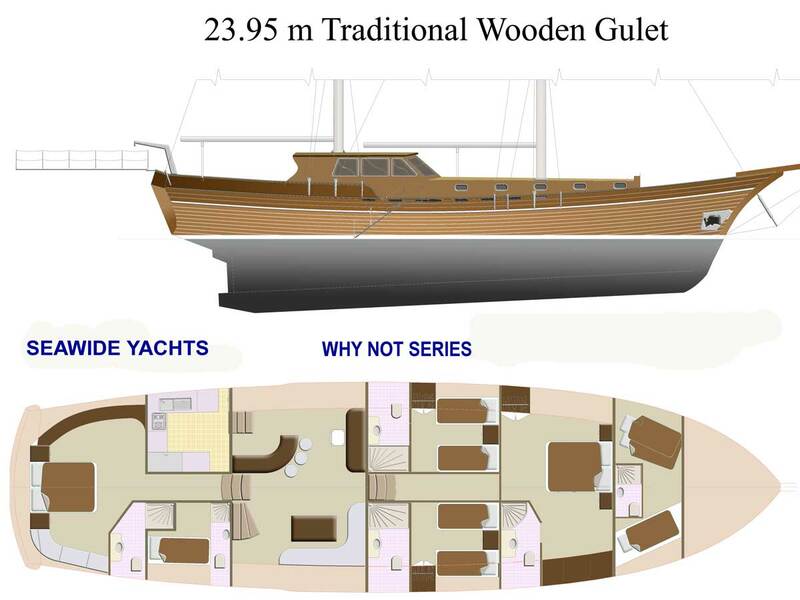 Gulet WHY NOT 1 offers accommodation in 4 en-suite cabins, for up to 8 charter guests. 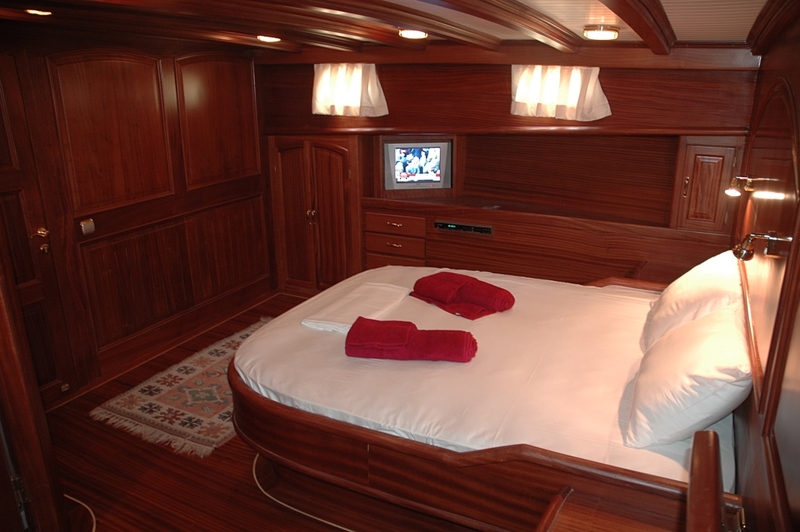 The master stateroom is full beam of the yacht with a king size bed, vanity and sofa. The VIP cabin offers a king size bed. 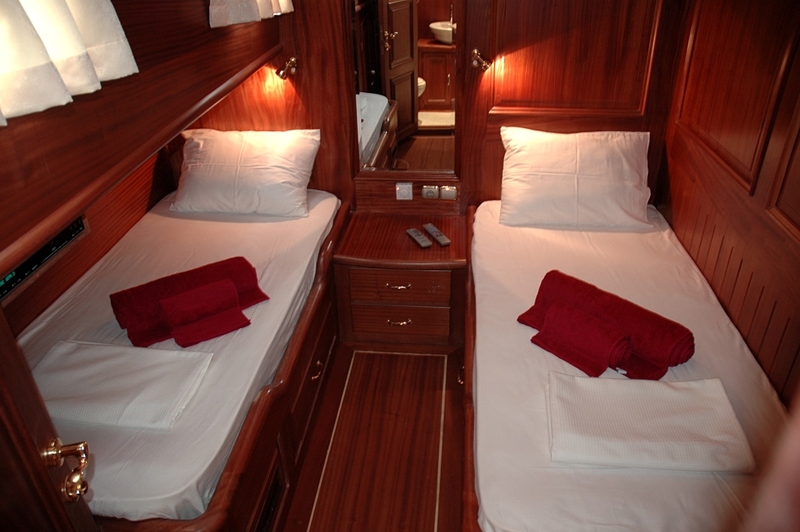 A guest double has a double bed, while a further guest cabin offers side by side single beds. 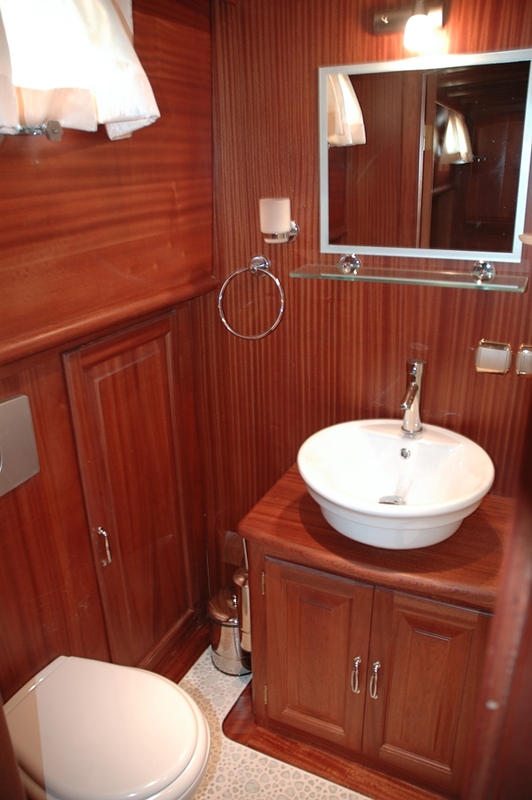 All 4 cabins are fully air conditioned, light, airy and offer a serene atmosphere. 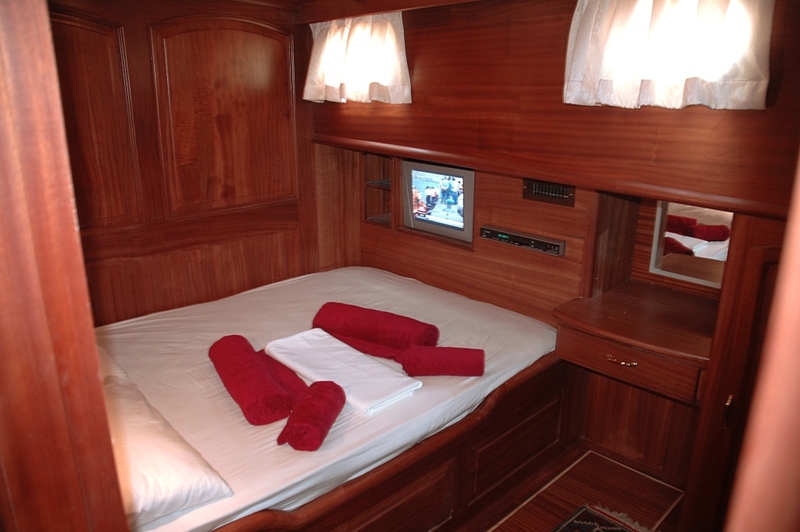 Each cabin boasts TV entertainment. 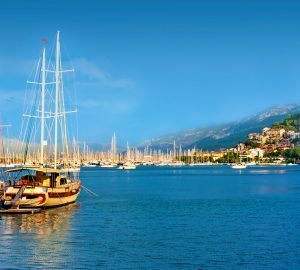 S/Y WHY NOT 1 is the perfect choice for a relaxing sailing holiday for families and friends, she has a dedicated professional crew of 4. The WHY NOT 1 yacht has a Tender Zodiac, 1 x Water skis, 1 x Wake board, 1 x Windsurf, 1 x Kayak, Snorkel equipment, WIFI on board, Salon with LCD TV 39' with DVD with Canal + international, All cabins have LCD TV & DVD, Hi-Fi sound system, Sun pads on foredeck and aft deck, VHF.